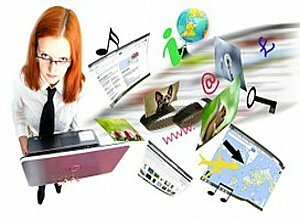 Informational websites are unique in that they are designed in a completely different way from most of the websites seen on the internet. They are heavy on content and the focus must be maintained on the content. When you hire services from WEBIZ you know you have the best website designing company working on your project. We take your project seriously right from the start and maintain our quality throughout the life of the project. We are proud to have a team of website development and designing experts who understand layouts and formats of various types of websites according to their functions. During our website development and designing experience we have worked on virtually all the different types of websites that exist. We also provide guaranteed SEO services so you don’t have to go elsewhere to arrange the content of your website. WEBIZ experts are here to do it all and just like others you are going to like our work too. While we are proud of what we do and how much we know about website designing and development, we never keep you out of the loop. We make sure the final website is a perfect reflection of what you had thought in your mind. There are subcategories within the information website category but we can serve them all equally and impressively. We use the latest platforms and the most updated internet web designing protocols to ensure your website meets not only today’s but tomorrow’s standards too. We continuously take your feedback to know that we are moving in the right direction. As a website designing company we know content driven i.e. informational websites, are designed to present content and data in most comprehensive form. It’s the design of the website that allows the content to be in a form that gets the attention of its visitors straight away. At WEBIZ we are ready and passionate to take on new projects. We are the website designing company that ensures it will only help you move forward and grow bigger at a faster pace. Get in touch with us today and let us show you how your idea would look on the screen.